Teams are encouraged to bring marquees and have a professional presence at MELGPCX. It adds to the colour of the event and is an opportunity to professionally present team sponsors who help underpin the sport. We strongly encourage this and will help were we can. SPONSOR CLASHES: Please keep your own sponsor activations in line with what would normally be expected of a race team at a race. If you want to do coffee and donuts or offer neutral service from your team tent then fine, but please be mindful of being fair to our major sponsors who are working hard (time, effort, and financial commitment) to help deliver a major event. We aren't expecting problems but just ask that your own activations are relatively modest. For instance, flutter flags & signage attached to your marque is fine, but please note there is no provision for on-course signage to anyone other than major sponsors. If in doubt, please ask. If your preference is to set-up an expo style activiation to sell product or showcase a range of goods, then please enquire about an Expo Site. Generators - if your team marquee setup includes a generator, please be considerate of others regarding location due to noise, smell & potential trip hazards. Bump-in times will be early if vehicle access is required, otherwise we suggest you bring a trolley to transport your gear from the car park. There will be no provision for vehicles within the team areas. All vehicles will need to be parked within the carpark after bump-in has expired. Anyone bringing a vehicle onsite outside of bump-in / bump-out times will need permission from the Race Director beforehand. There will be security over night Friday & Saturday. You are welcome to leave your marquees overnight, but this is entirely at your risk (despite security being on site). Please note that we request your marquee top be removed to safeguard against wind if leaving overnight. 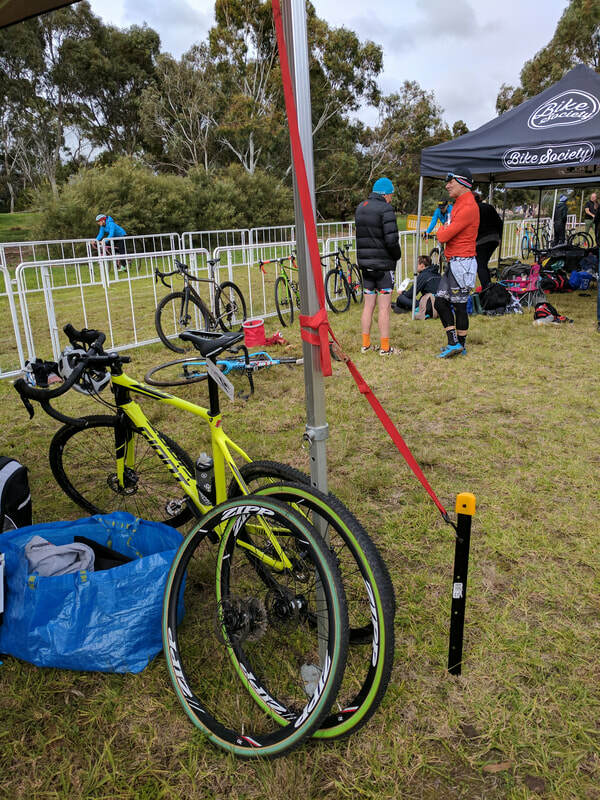 Our experience last year at MELGPCX suggested that the introduction of reserved premium marquee slots will make life easier for everyone on race day. Free marquee spots will be available but will be on a first-come, first serve basis. Please email fieldsofJoyCX at gmail.com or call Col on 0419 881 343 to enquire about reserving a premium team marquee spot. Essendon Fields is prone to wind. It is very important that marquees are secured so as to safeguard against blowing away. Apart from the obvious risk to people and potentially disrupting racing, anything that ends up airside at the Airport is a major problem as it impacts airport operations. It is also something that we cannot resolve ourselves as the airside is a restricted access area, which will necessitate the involvement of airport security. Bottom line is - Items blowing over the fence into the airport operations area are to be avoided at all costs. If leaving marquees overnight, we request you drop them down and remove the roof material to minimise risks from unexpected wind overnight. We will review all marquees ourselves to see they are secure and may make adjustments if necessary. ​Our experience is that a star picket close to you leg footing secured with a tie-down to the marquee frame is the best option. Please be careful not to create unnecessary trip hazards in the process.